I went to visit my parent’s over the Family Day long weekend. Rather than taking the jeep and driving for 5+ hours, I took advantage of Boxing Day sales and booked a flight via Westjet for the same amount of money as it would cost in gas (stupid jeep…). The trip was good: visited quite a few people including spending the afternoon at my friends house with her and her baby, and a few other friends. I also bought some bigger sized jeans so that I stop wearing maternity jeans. Although I think I need to shrink them a bit as they are too big in the thighs (stupid mis-shaped body!). Flying with Max was a breeze. I am surprised that I was able to carry: Max in his car seat, a suitcase, backpack, purse and my Medela pump bag through the airport. 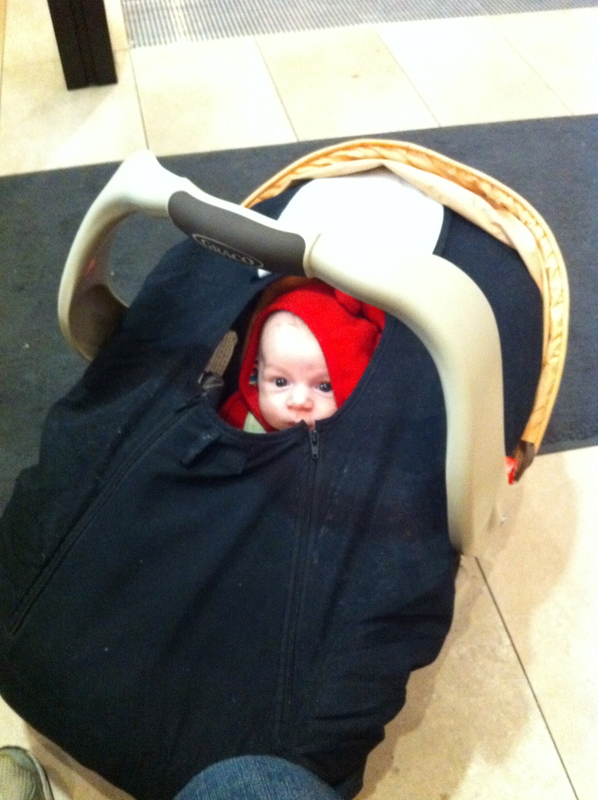 After check-in, I had Max in the Moby and just the backpack, purse and Medela bag. After we landed both times, the crew were very nice in asking if I needed help. One off-duty pilot took half of my stuff for me and was even willing to help me all the way to my parents (I just needed to get the Moby back on though). 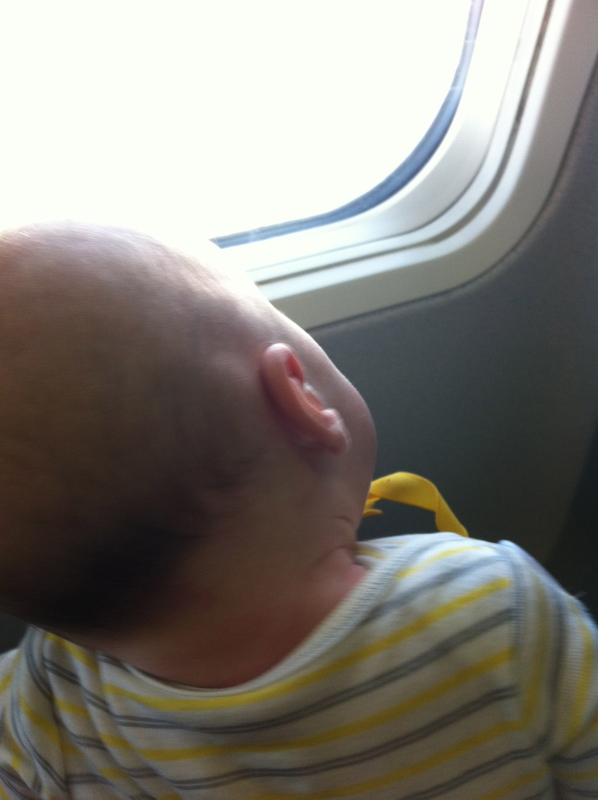 Max didn’t make a peep during the airplane ride. 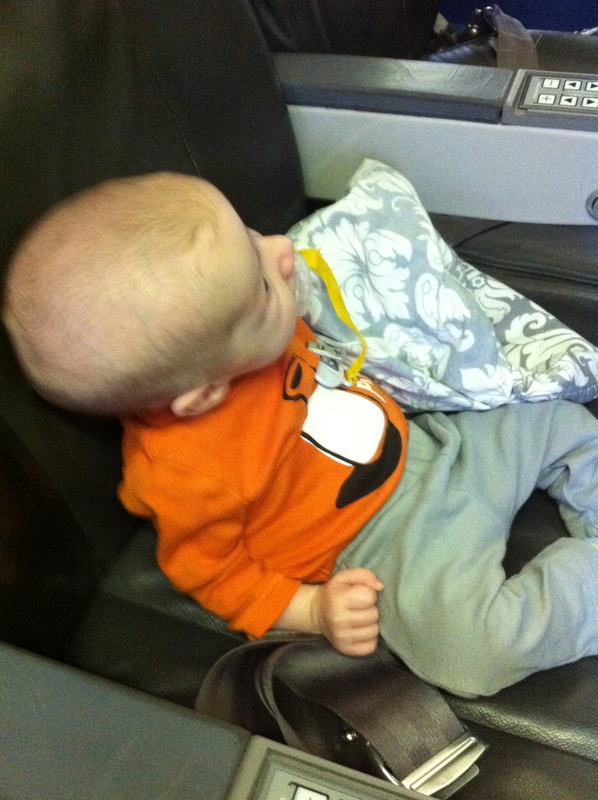 In fact he fell asleep for half of the flight yesterday (including the take off). 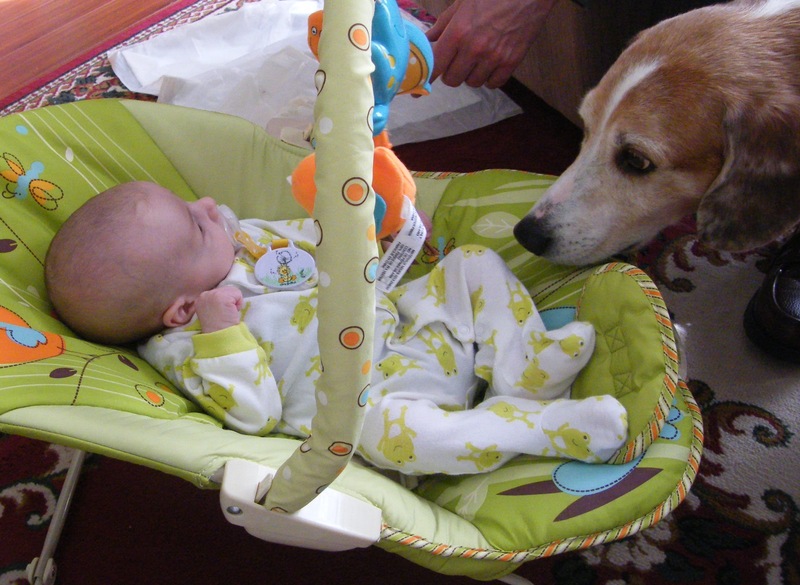 Many people around us were commenting on how well-behaved he was, and how he has really good head control. He was having the time of his life looking at everything around him.